Is it possible that the entirety of one's life has been steered by the hand of fate towards a single moment? For Brooklyn French program teacher - and single parent of two- Tess Shapiro, it would certainly seem so. After discovering that her life and her marriage were artificial constructs based on lies and deceit, Tess must undergo the ultimate reality check. She delves deep into her subconscious, venting her frustrations by indulging in a lifelong habit of drawing graphic novels starring her glamorous alter ego, an international spy by the name of Andrea Chambers. Meanwhile, in the real world, anti-French terrorism is taking the world by storm. What, and who, is behind the vile attacks against French-speaking people everywhere from Brooklyn to Burundi? As she suspects that her new lover may not be who she thought he was, Tess's ability to perceive truth through a distorted collage of deception, brings comic book fantasy and real world tragedy crashing together in a whirlwind of romance and political intrigue. 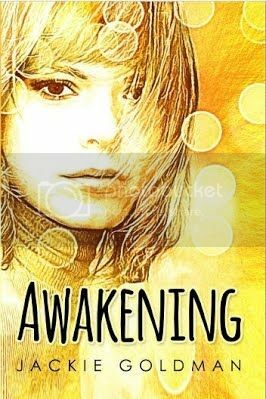 When, in a single moment, Tess realizes the totality of the lie she has been fed and believed, and the impossibility of the truth, she makes a staunch decision that will change her life, and how she perceives the world, forever. 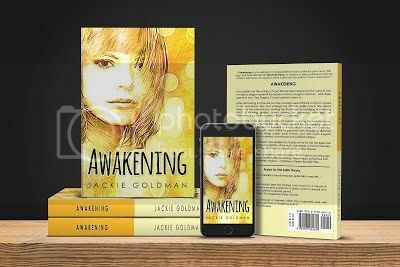 Originally from Canada, Jackie Goldman now lives with her two children in Brooklyn, NY. She began writing full time as a passive-aggressive means of enforcing quiet time in the apartment. SEDUCING THE SCIENTIST - Is live!